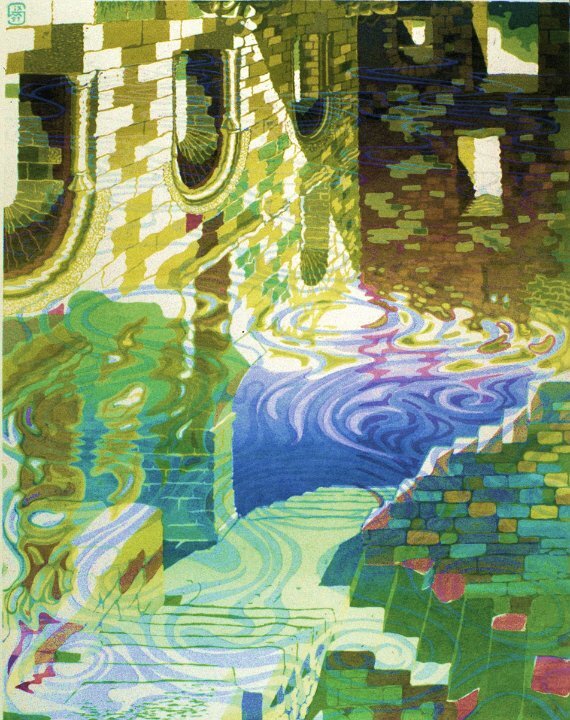 Title: 'Atlantis 1- reflections, shadows and refractions' - screenprint, image size 25 x 46 cm - 9 colours using water based screenprinting inks on Fabriano paper. Image based on ruined abbey at Boschaud in France. Part of the series illustrating the book 'A Modern Atlantis'.